Dilek teaches in the village of Kumkoy in Turkey. She is the only teacher in her small school and describes herself as the ‘manager, teacher, officer and janitor’. When Dilek arrived at her school, she was shocked at the environment and started a project called ‘My School Regenerating’, improving the school grounds and the supply of learning materials and books. Dilek has ensured that her students encounter the wider world despite their poor background. She organizes trips to cities, going to the theatre, cinema, zoo, museums and the Institution of Physically Handicapped People. She even invited opera singers to perform locally for her ‘Opera in the Village’ project. She has also started a family education course for mothers in the village, encompassing topics from nutrition to poetry. In addition she has organized literacy classes and shoe-making workshops for the women in the community. 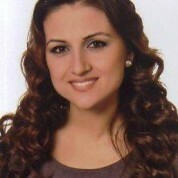 Dilek’s work has been acknowledged by various government awards, including Teacher of the Year.